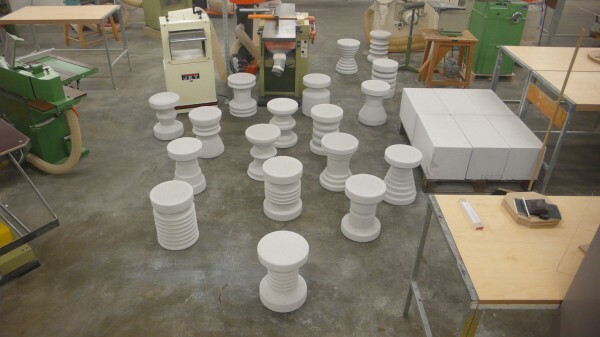 Solids of Revolution is the joint name given to two series of stools made from either concrete or wool, both formed using rotational cutting processes. 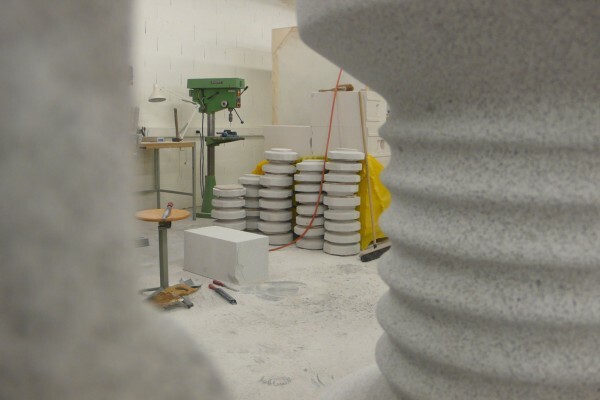 Two inherently disparate materials unified by property and by process. 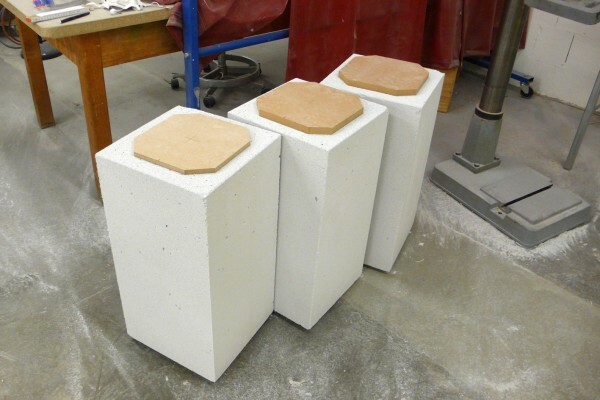 Hard, heavy concrete becomes lightweight and malleable. 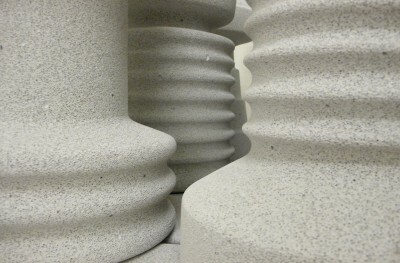 Soft, supple wool becomes rigid and strong. 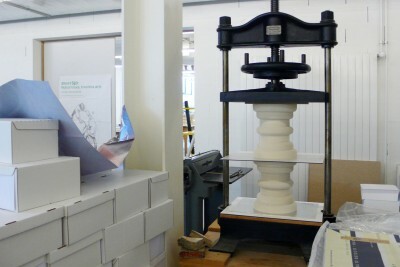 The convergence of two polar opposites at a state of physical property where the same method of processing can be adopted to transform raw material into product. Both series are made from pre-formed materials designed for industrial applications, offering primary function to otherwise secondary products. 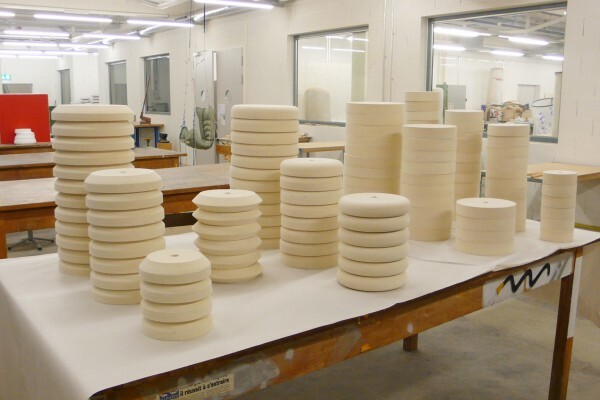 The humble concrete block used to build family dwellings and architectural monoliths, and discs of highly compressed wool felt normally mounted onto a rotational spindle and used for metal, glass and stone polishing. 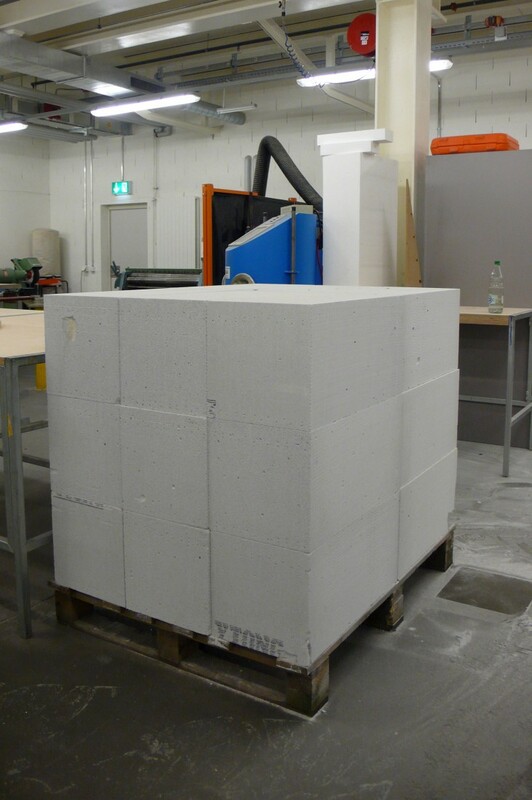 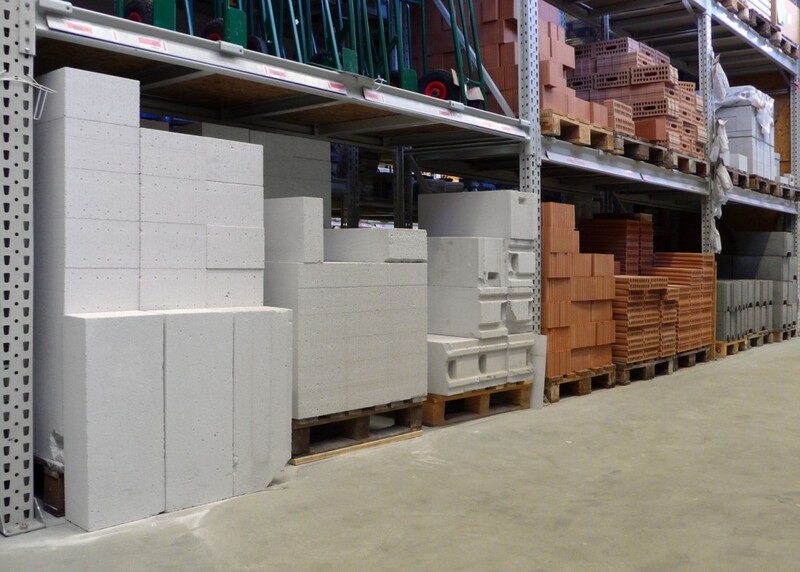 Autoclaved cellular concrete Autoclaved Cellular Concrete is a foamed concrete containing a high volume of air in a cell-like structure. 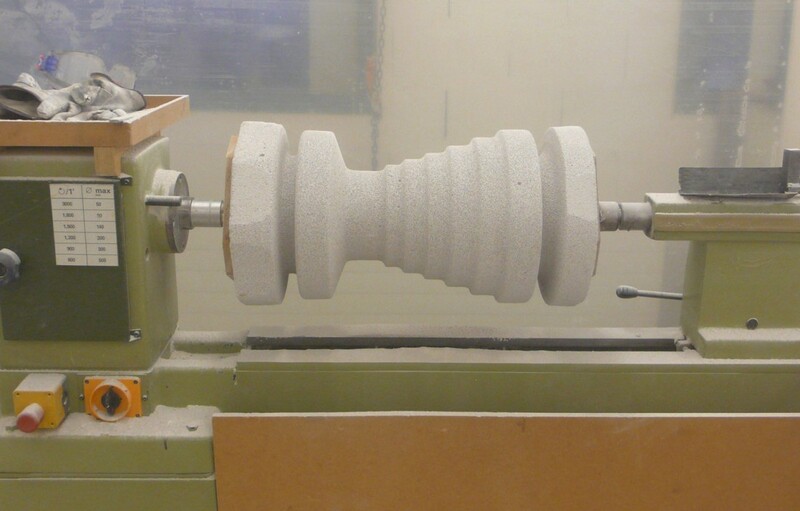 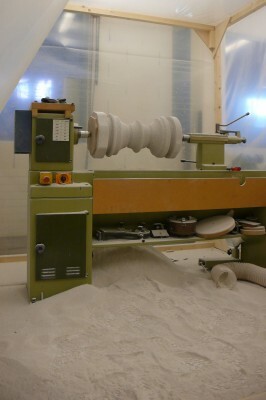 The material is five times lighter than concrete, highly insulating and easily machined making it perfect for turning on a lathe. 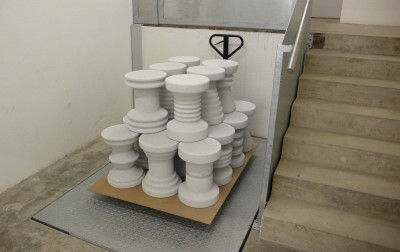 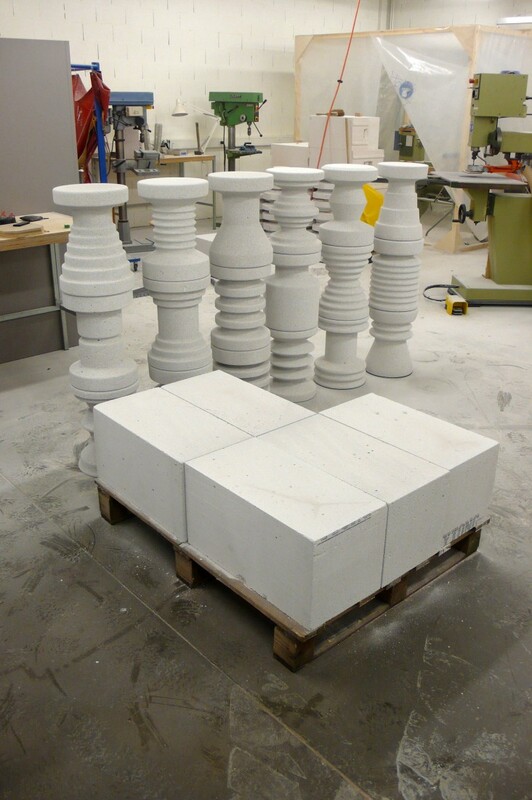 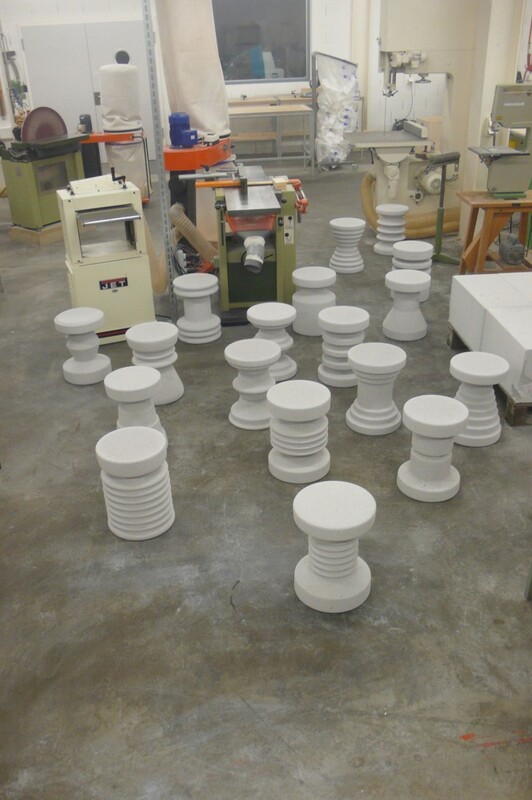 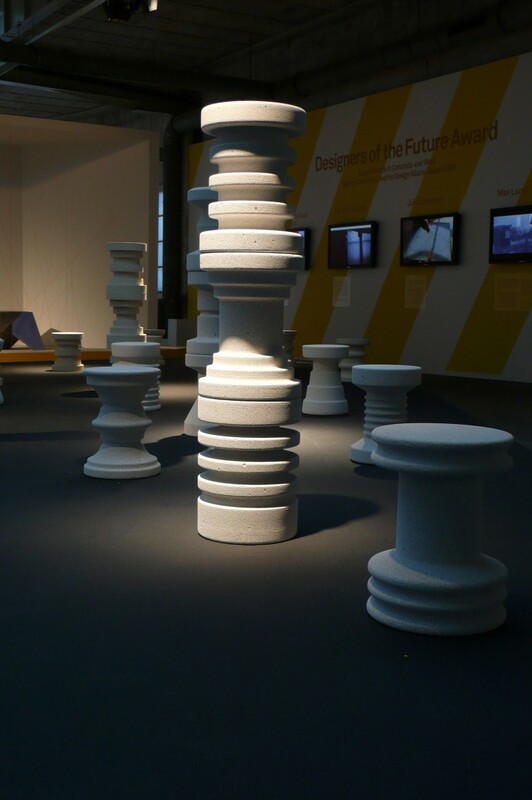 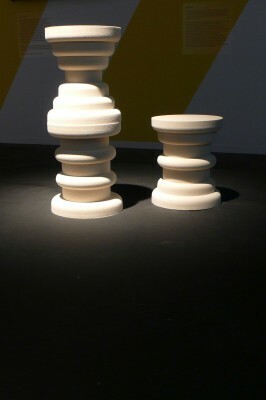 Concrete Stools are turned from a complete palette of 18 autoclaved cellular concrete blocks 32 x 32 x 62cm in size. 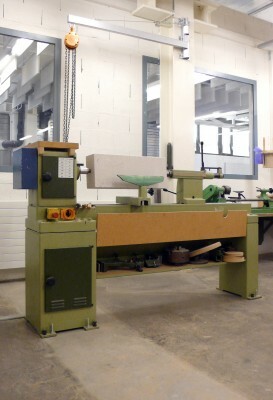 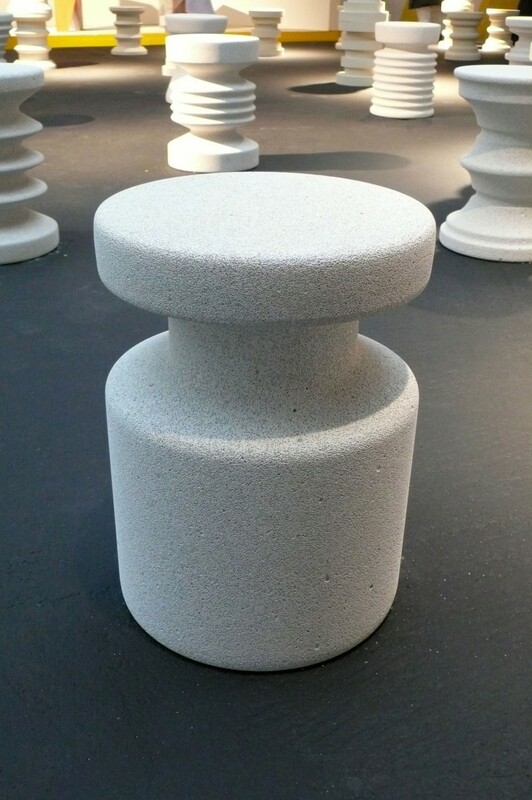 These blocks present perfect dimensions for a seat surface and sitting height and can be mounted onto a lathe and formed using traditional woodturning tools. 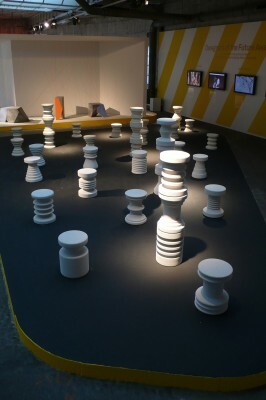 Every stool is unique and none were predetermined, each being a consequence, continuation or reaction to the stool/s preceding it. 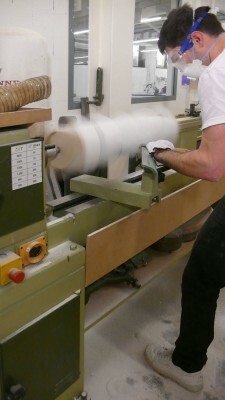 When wet wool fibres are repeatedly rubbed together under pressure the tiny scales on each fibre naturally stitch together and become matted. 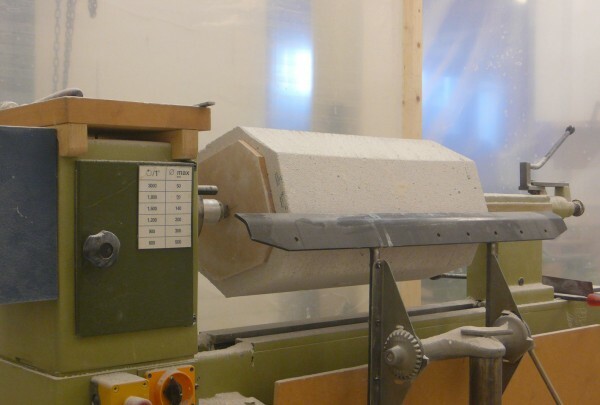 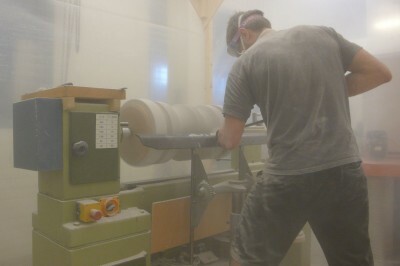 If the process is continued and compression increased it is possible to create a block of natural, unwoven textile that displays similar properties to wood, thus capable of being machined. 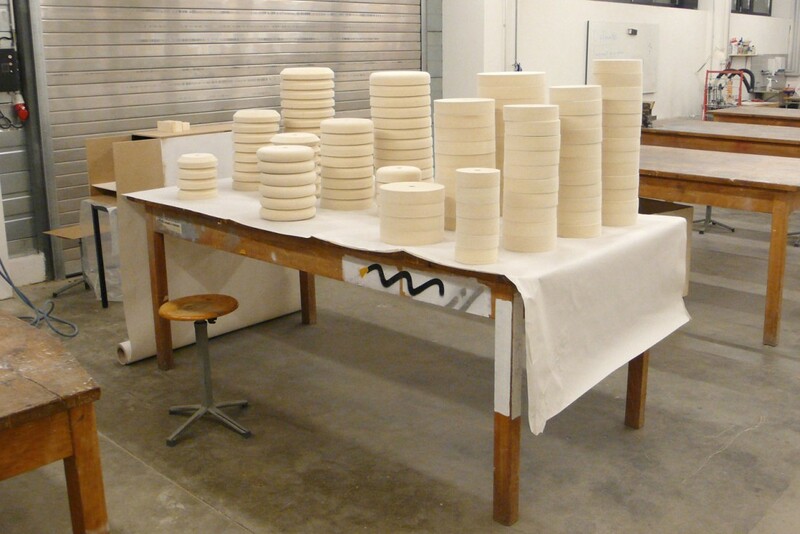 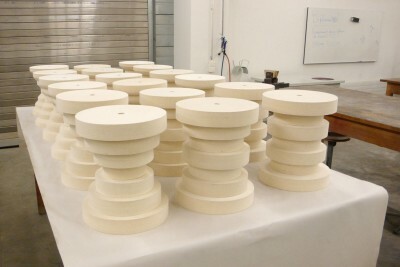 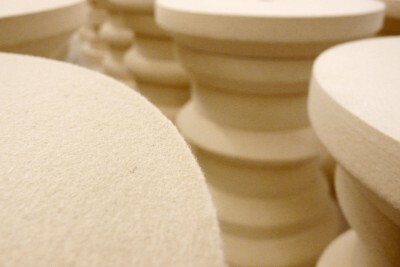 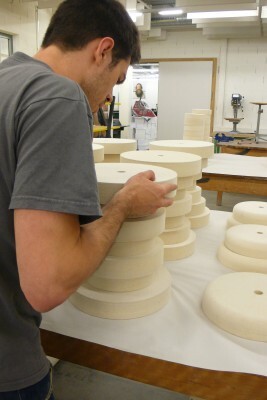 Felt Stools are small columns of laminated wool felt discs of varying diameters each with a different machined edge profile representative of those used in the polishing industry. 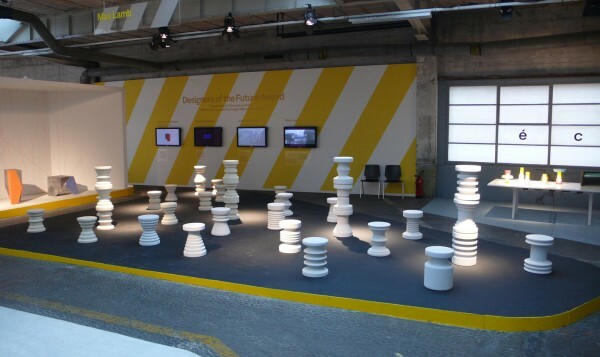 Square, bevel and radius edged discs combine in varying configurations to create three sets of three stools.